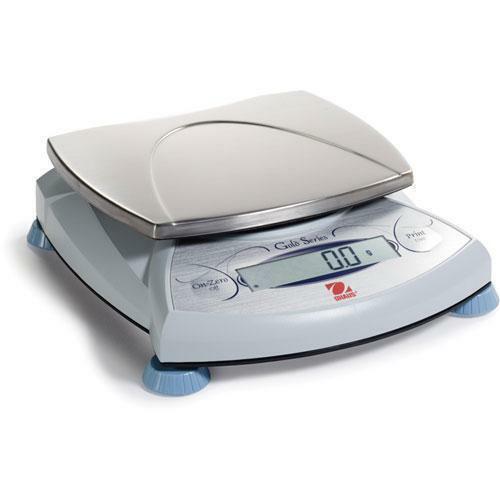 The Ohaus SPJ Series Scales are affordable, multifunction scales capable of weighing in grams, carat, pennyweights, ounces, troy and ounces and many other units. These scales also have parts-counting capabilities. Clear, bright LCDs make them easy to read. They are supplied with 110 Volt AC adapters and also run on 9 Volt batteries with programmable auto shutoff to save battery life. They measure 7.5”W x 8.3”D x 2.1”H.. These units are supplied with calibration weights, leveling feet, and user installable USB or RS232 interface options. The SPJ Series is covered by a two-year manufacturer’s warranty.